Bracketron's Roadtripper Universal Travel Pack, is the ideal companion for anyone about to undertake a road trip or who spends a lot of time in their RV or vehicle. 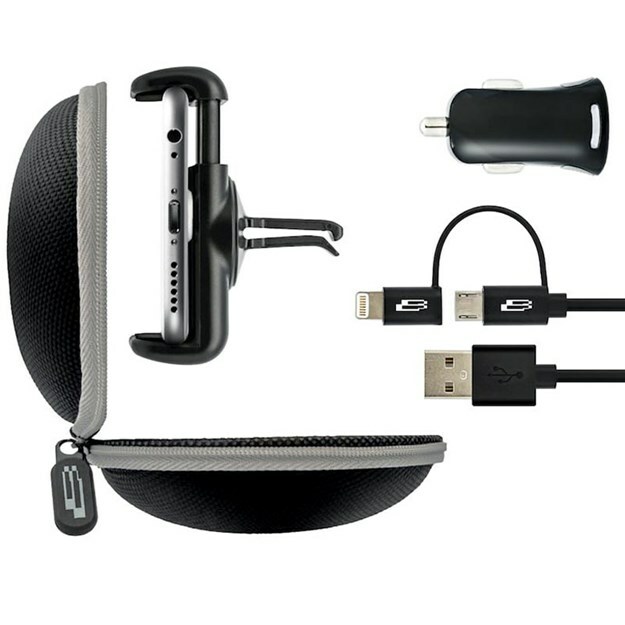 Housed in a durable carry case that fits all the components, the pack includes a one-metre Micro-USB cable (suitable for both Apple and Samsung products) with Lightening adaptor, a sturdy vent mount that can hold devices up to 8.9cm wide and a cable for charging. The mount is quick and easy to attach to your dashboard, and means your hands are kept free from distractions so you can focus solely on the road ahead.